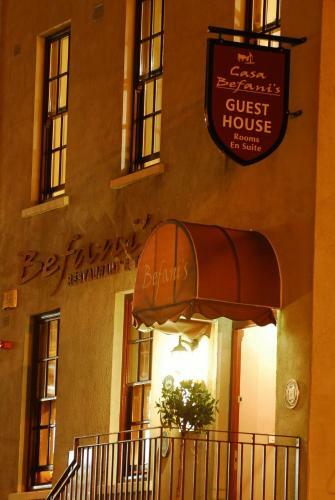 Hotel Longer Description: Welcome to Lawlors Hotel Dungarvan one of the best known and longest established hotels in the coastal town of Dungarvan Waterford in the South East of Ireland. The hotel is situated on Dungarvan Harbour where the River Colligan broadens and enters the sea. We offer warm comfortable bed and breakfast accommodation as well as excellent conference and wedding facilities. Driving to Dungarvan has never been easier with the opening of the M9 its just two and a half hours drive from Dublin - see our Location Map for directions. A warm welcome awaits you here at Lawlors where you will find the true meaning of Irish Hospitality. Travelodge Waterford situated a short distance from Waterford City Centre offers great value en suite bedrooms with Free Parking. Ireland s oldest medieval city is only a short drive or 20 minute walk away. Here you will find the world famous Waterford Crystal Visitor Centre and in the Viking Quarter the new Waterford Museum of Treasures. Tramore Dunmore East and the Waterford Coast is only 15 minutes away. The hotel is also conveniently located to WIT and the IDA Business Park with Waterford Regional & Whitfield Hospitals both within 10 minutes of the hotel. Travelodge Waterford is 9km from Waterford Airport and the nearest ferry is located just over an hour away in Rosslare Europort. Prices quoted are per room with each of our bedrooms being able to accommodate up to three adults and a child or two adults and two children. All rooms are equipped with Multi Channel TV and complimentary Tea & Coffee making facilities. High Speed Free Wi-Fi with unlimited data for all devices throughout the hotel. The Fitzwilton Hotel is a contemporary designed city centre hotel within walking distance of all that Waterford City has to offer. Met bar provides the perfect venue for meeting friends for leisurely cocktails or wine Met bar-caf? has an extensive list of beers wines and cocktails available and also an informal bar menu. Why not relax and unwind over dinner in Chez K s Restaurant which offers a selection of menu items to suit all palates. Special features include complimentary Wi-fi access throughout the hotel. All Guest rooms are non-smoking rooms. Duncrone B&B is the perfect location for touring the South/SouthEast region of Ireland.With its magnificent views and quiet location a stay here is a must.Breakfast is a treat with locally sourced freshly cooked produce including eggs from our own hens. This haven of tranquillity offers you a chance to escape the pressures of everyday life and relax in the surroundings of a beautiful house with an old world rustic charm & ambiance that combines both comfort and spaciousness. br / br / br / br / Built as the Earl of Glengall s Hunting Lodge in the last century Kilcoran offers guests 22 exceptional en-suite bedrooms all with their own unique charm combining contemporary & period styles and charming antique furniture. 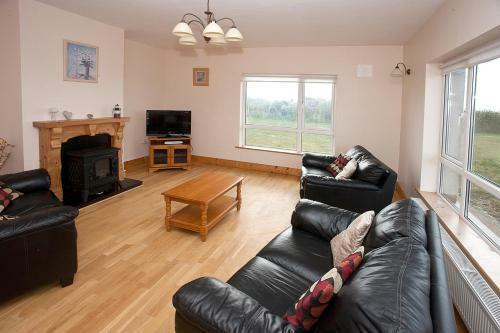 br / br / br / br / Ideally located to explore Ballyhoura Country the Rock of Cashel Blarney the Mitchelstown Caves and the historic Cahir Castle as well as great golf cycling horse riding and fishing amenities guests will revel in the area s serene landscape and dramatic views. Only 50 minutes from either Cork & Shannon Airports. br / br / br / br / Treat yourself to a taste of traditional home cooking in Saddlers Restaurant or Renard s Bar. A Healthy Options Menu is available for children. We cater for all occasions including family celebrations communions & confirmations and much much more!! D?n Ard was featured on the RTE TV program SHOWHOUSE. Each room throughout the house was elegantly designed by local designer Nina Kati using the finest of materials. We have continued to add out own personal touches to make our guests feel at home in the luxurious surroundings. br / br / br / br / D?n Ard is built on three levels with plenty of light and space. All four bedrooms are en-suite two with luxurious Jacuzzi baths. The ground floor bedroom boasts a double Jacuzzi bath and has it s own private sauna in which to unwind after a long and stressful day. br / br / br / br / Glass panelled on one side the guest sunroom opens onto a large balcony where guests can sit and relax enjoying the panoramic views of the magnificent seascape and mountains in the backdrop. br / br / br / br / The elegant dining room has a large dining table where guests can meet and exchange details of their experiences. The Waterford Marina Hotel is ideally located in the heart of Waterford City and is nestled idyllically on the banks of the River Suir. We have 81 superbly appointed ensuite guestrooms all offering the essentials for a comfortable stay with spacious family rooms and wheelchair accessible rooms also available. Other facilities include Waterfront Restaurant and Waterfront Bar Riverside Terrace Conference facilities and a Private indoor Car Park. At the Waterford Marina Hotel we pride ourselves on providing a personalised service and endeavour to make your stay an enjoyable and memorable experience. Waterfront Restaurant offers a modern but homely dining experience. Our carefully crafted menu combines the finest fresh Irish food with influences from around the globe. The perfect balance of exciting food and nutrition something for everyone in a friendly and relaxed atmosphere. Our Waterfront Bar located on the ground floor is both spacious and comfortable yet designed to suit every occasion. Equally popular with our hotel guests and local community alike we also offer live entertainment at least once a week. Whether it s privacy you require for that all important business meeting that large family get together in one of our spacious areas or simply a quiet drink in our open plan seating area you can be assured of a welcoming and embracing visit to the Waterfront Bar. The Waterfront Bar also boasts and impressive terrace area overlooking the picturesque river Suir which is ideal for relaxing and watching the world go by. Located in the heart of the South East Ireland Rhu Glenn Hotel offers a base to some of the most beautiful coastal scenery in Ireland. With a collection of historical landmarks on your doorstep including the New Ross Famine ship and the Hook Peninsula this is the perfect location for explorers from all walks. Being a family run hotel we have a strong focus on providing quality and value for money and boast an excellent reputation. Offering 31 en-suite rooms you can chose from garden or countryside views and be sure to feel relaxed and rejuvenated. The well reputed Luffany restaurant sources local produce creating dishes to excite your pallet and fill your soul. With breakfast brunch and bar menus ranging from continental to traditional to international we are sure everyone will leave feeling satisfied and eager for their next visit. With plenty to do from in-house entertainment a well-stocked bar and outside activities including golf walking tours and horse racing there is something for everyone. For further information please contact Rhu Glenn Hotel directly and we will be happy to help. Offering a terrace and hot tub, Nell's Farm House is situated in Rathgormuck in the Waterford County Region, 43 km from Kilkenny. Free private parking is available on site. Nell's Farm House features free WiFi . 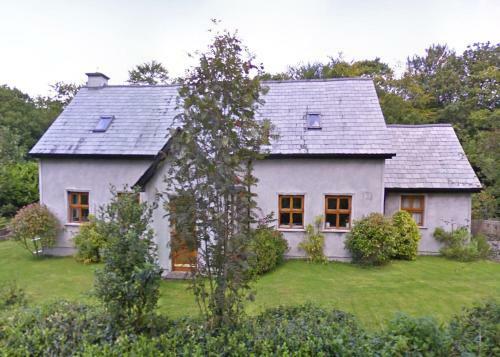 Bleantis Mountain Cottage offers accommodation in the Comeragh Mountains, 19 km from Dungarvan. Guests benefit from a terrace and barbecue facilities. There is a seating area with a sofa bed and a kitchenette. A TV and DVD player are provided. Located in the heart of Ireland’s Golden Vale, The Carraig Hotel is a 2-minute walk to the River Suir. This 18th-century property offers a traditional bar and a fine restaurant. The cosy rooms at The Carraig Hotel feature TVs and free Wi-Fi. Coastland offers accommodation in Ballyvoyle Cross Roads. Free WiFi is offered and free private parking is available on site. All rooms have a TV. You will find a kettle in the room. 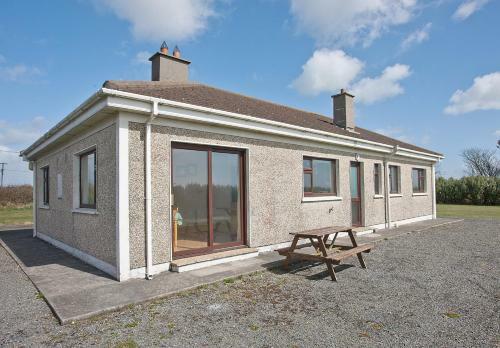 Situated in Ballymacarbry in the Waterford County Region, this detached holiday home features a garden with a terrace. It provides free private parking. There is a seating area and a kitchen. A TV is available. 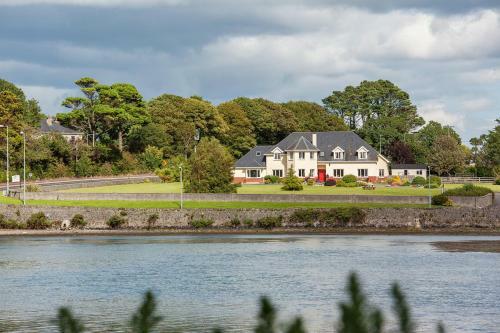 Killineen House is set in Dungarvan, 34 km from Waterford and 41 km from Castlemartyr. Free private parking is available on site. You will find a kettle in the room. There is a shared lounge at the property. 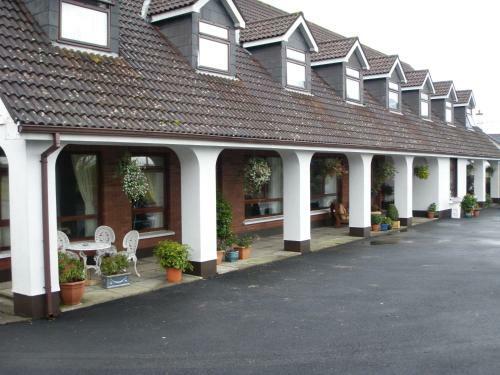 Located on the Southern tip of Ireland just by the Celtic Sea, Comeragh View features a family-run B&B in Ballyvoile, 37 km away from Waterford. It offers a flowery garden, an outdoor seating area and a lounge with TV. In the pricturesque village of Mooncoin, Aisling B&B provides hearty, full Irish breakfasts and rooms with free Wi-Fi. Homemade brown bread is available each morning, and Mount Juliet Golf Course is a 30-minute drive away. Hotel Minella is an elegantly furnished country house on the banks of the River Suir, close to Clonmel town centre and bordered by the Comeragh Mountains. Hotel Minella and Leisure Centre has individually designed and decorated rooms. 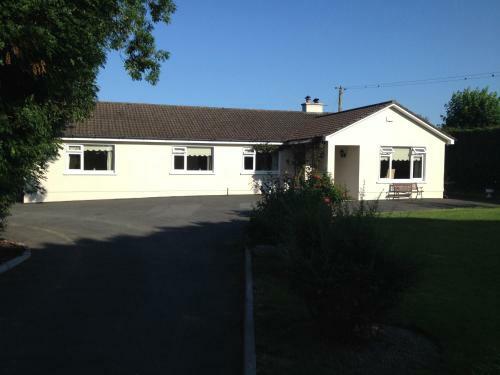 Ashley Guesthouse is located in Dungarvan, 37 km from Waterford and 38 km from Castlemartyr. Free WiFi is available and free private parking is available on site. Certain rooms have a seating area to relax in after a busy day. This beautiful old Georgian house from 1832 has views of the River Suir, and 3.5 acres of gardens at the foot of the Comeragh Mountains. Raheen House Hotel is only 5 minutes' walk from the centre of Clonmel Town. 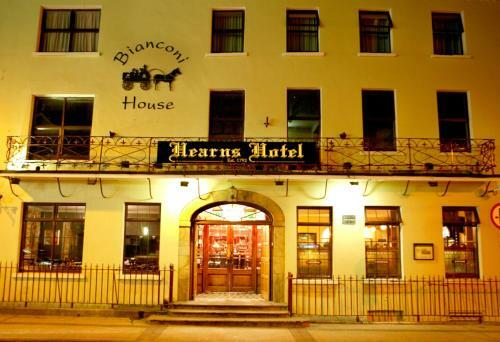 In Clonmel’s town centre, Hearns is an 18th-century family-run hotel offering free parking and an adjacent late bar with live music. 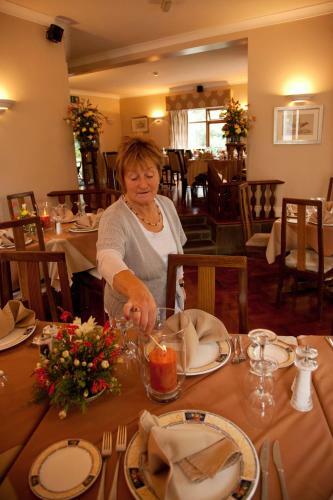 There is an on-site restaurant, and Clonmel Golf Club is a 5-minute drive away. 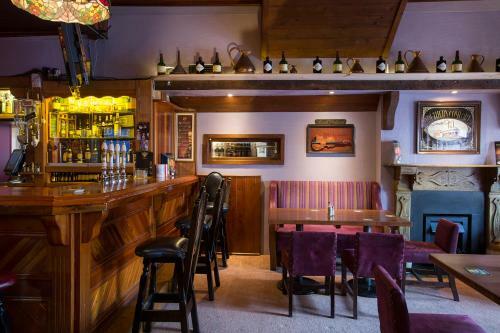 Mulcahys is located in Clonmel, 100 metres from Main Guard. Guests can enjoy the on-site restaurant. Each room has a TV with satellite channels. You will find a kettle in the room. Every room has a private bathroom.